Those moments of attachment or these moments of detachment…which are real? Do both belong to us? 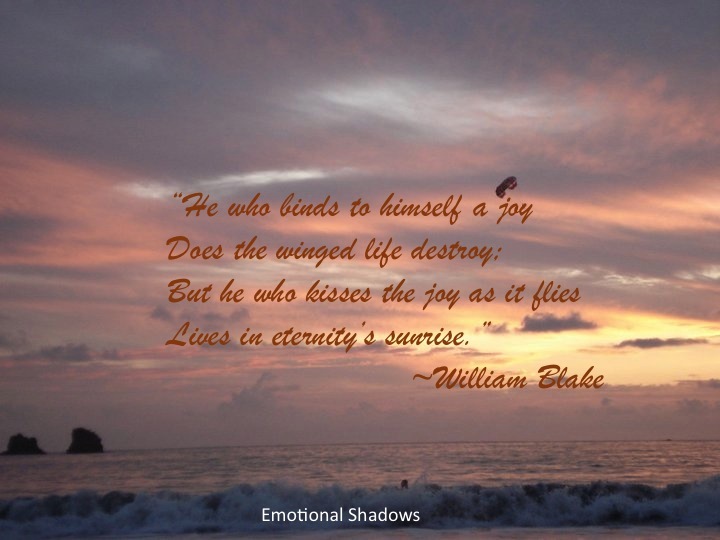 I often wonder… why is attachment so natural…why is detachment so difficult? As a child, I was always fascinated by pebbles and sea- shells. Gathering pebbles was such a joyful moment! We would always run after each other to collect them and then display them, like trophies. The one who could gather more was hounded, cajoled and asked to share! Pebbles, which had no value for people around us, seemed so precious. Attachments start so early! They are so inexplicable, so spontaneous yet so illusionary! When I look back, I wonder how those emotions develop; nobody introduces us to them…or was it just a child like charm? Those were the days of innocent pleasure but they introduced us to attachment. Many more images of such emotions must have flashed across your mind too. I am sure you too have such moments of life, which you want to revisit, which seem to have lost on the sand of time, which could revive those precious memories. Those endless moments of pride! All those moments which just flew away, before you could actually feel their ecstasy. As we grow older, the association with those emotions, which were hardly ever felt at that time, becomes more prominent, more precious. There comes a moment when we just want to soak in them. Emotions are so obdurate. They overwhelm, they tie you down and they don’t let go. How to keep them within limits? I too encounter this question, often. One answer, which instantaneously looks me in the eye, is: Detach! Is detachment so simple? While it is easy to detach from money, power and people, emotional attachments control us. They cloud our judgment, they refuse to let go, they are like a lump in the throat, which can only be felt. Share your concerns, with friends. Have you noted that they all revolve around YOU! I have tried all these ways. Yet detachment is so distressing, so paralyzing, its thought just numbs the mind. One time tested way of detachment is to gather all the pictures of those moments and persons; whose memories and thoughts refuse to quit your mind and make a collage. Paste that collage at such a place from where you can see it everyday. Let the memories crowd your mind all the time. Whenever you are free, sit near that collage; sip a cup of tea or coffee in its company. A day will come when it will start talking to you. I have always wondered what if pictures could talk! It may seem incredible but they do talk if you keep looking at them, day after day! Strangely, you realize that you are no longer a part of those pictures; you feel cut off, floating away in time. Meditation is another very effective way of calming your mind and emotions. Try to meditate in the company of that collage. If you keep looking at it while meditating, you will realize that it will cease to exist. Detachment descends slowly but surely. When it actually hits, you feel lighter. A strange light guides you out of all those gloomy thoughts and you are hit by a pleasant blizzard! These moments of eternal bliss start with the entry of the first grand child and all that talk of detachment vanishes into the thin air…you feel in the seventh heaven as her smiles demand all your attention, her sweet shrieks fill the air around you with strange joy and her little feet struggle to take the first step! Suddenly you feel full of life again…you feel attached! Aren’t the questions of life so enigmatic? Do you feel the need for detachment? 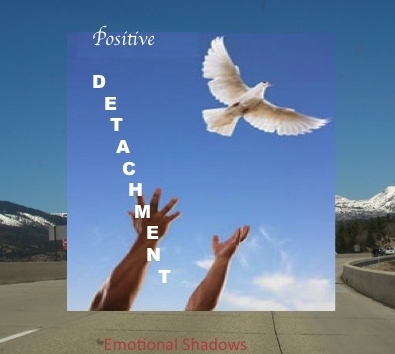 Is detachment challenging for you? Are there any moments, which were as precious as those pebbles or sea-shells? You can share your valuable thoughts here. If you have liked this post, please consider free subscription. You can do so by entering your email. Sharing is caring. Please share this post at your favorite social networks. Previous How Faith Grows…Only One Way to Absorb it! Next How Influencers throw their Nets! That is EXACTLY where I am now. Ya Nikky, we all are controlled by emotions! Thanks for your continued support! Thanks! Emotional attachments are the most precious possessions! At least I value them the most. I think another way to invoke detachment is to simplify our lives. The more possessions we accumulate, the more attendant care and concern we have for those things. Needing less brings more peace. What do you think? Welcome! your words are like music to my ears! I don’t care much about possessions. Emotions overwhelm me more than acquiring things. I am talking more about detachment from precious moments and dearest persons who feel I cling on to them. I have been trying to detach from all those bindings which make us weak and sentimental. Yes, you made me think on this one because I am one person who just cannot seem to detach from people, and even memories for that matter. Perhaps I am more emotional so letting go isn’t easy for me. Attaching oneself is the easy part, and I think one can get attached to so many small things. I still have old letters of my grandfather, the first clothes my kids wore, the first sweater my granny made for my daughter, and SO many more firsts….I just can’t get to throw them. I love to go back in time and think about the good times I had when I think about these treasured things I have with me. Even though my Mom passed away years back, I still have a few of her clothes with me, which I wear and feel so nice. I guess why detach yourself from memories that bring you happiness and take you back in time – the moments just come, stay a while, and go – though they always bring back wonderful thoughts of the past. Yes, when the memories aren’t good ones, we prefer to forget them. That’s what we need to detach from our hearts and minds, and I think we do that in most of the cases, or else living in the moment becomes so tough. Thanks for your visit, I love your smiling faces…they make your presence all the more warmer! It is heartening to know that there are persons around like me…so emotional that we cling on to those precious memories. Yes, I too have those firsts…the first clothes with loving memories, the first pictures that I treasure, the first letter my little daughter wrote to apologise, the first card she made for me with her little hands….they are endless! Well, you feel nice when you look at them but when the little ones grow up and you give them wings to fly and they soar away, that is the moment of detachment which is painful. I can discard hateful memories faster…it is the good ones that I feel more attached to because you know, time moves so fast and everything changes…it takes a lot of time to let go. Thanks so much for sharing your memories…I value your opinion. I can totally understand your love and attachment which is causing this anxiety…even tough phases pass, just a matter of some time, Mike. Be strong! Life demands that strength all passes us eventually. You have the wishes and prayers of all of us. When i have an attachment that i can’t let go off I sit and think about ‘why am I so attached’ once i can figure that out i can let go of it. Some attachments are a matter of forgiving someone when the attachment to with a person. I like the attachments that make you smile. After my father died I was at there house with my mother one day and going though some of her stuff. Anyway I opened this box and it had a cup holder in it that my dad always had on his chair. The tears just started flowing. Mom ask if I was ok and I said yes. She than ask if I would like that item. Of course I did want it. it is old and worn, but I do have it in my house and smile every time I look at it. If you are attached to something and it doesn’t put a smile on your face I always figure it is time to get rid of it. that is how I judge and sort though my attachments. You are so right…we have to let go, in whatever way we choose to accomplish this mammoth task. Sometimes I wonder why can’t detachments be as natural as attachments! It is good to be blessed with attachments that make you smile, I am glad you have such blessings. Some moments are just too precious and remind you of your loving relationships, it is natural for the tears to flow and that is how we get over those moments, slowly! I too try to relive and forget. Thanks for sharing such a sweet memory. Love that! Expectations are the root cause of why people are not able to detach themselves from getting attached once.